I think that on the little prince’s planet, there are good plants and bad plants. It is normal for all planets. 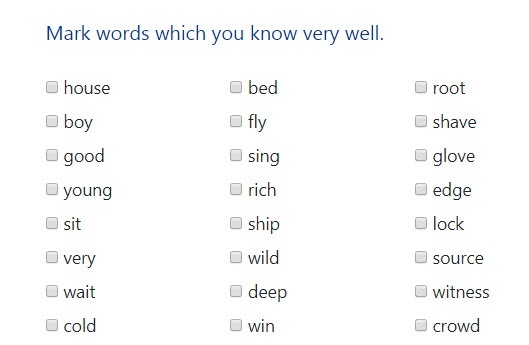 And of course, there are also good seeds of good plants and bad seeds of bad plants. But we can’t see seeds. They are in the ground. But one day, every seed wakes up. Then the seed starts to grow. The seed grows slowly to the sun. When the plant is very small, you don’t know if the plant is some vegetable or a rose. And you can let the plant grow. But when you see that it is a bad plant, it is important to destroy the plant fast. 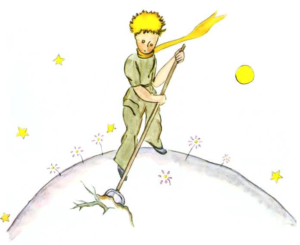 It is true that there are bad seeds on the planet of the little prince. They are the seeds of baobabs. The ground of the planet is full of them. If you see a baobab too late, you can’t destroy it. Then the baobab grows over the whole planet. 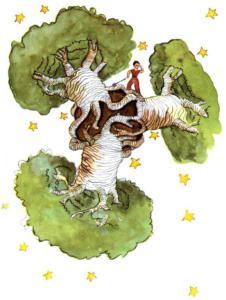 And if the planet is too small, two or three baobabs can destroy the planet. “It is a question of discipline,” the little prince tells me. And one day he says to me, “You can draw a beautiful picture. The picture can show this situation to children. This information can help children when they travel around the universe. And, when the little prince speaks about the planet, I make a picture of this planet. People know only a little about the problem with baobabs. And it is possible that one day when you are lost on an asteroid, you can have this problem too. I believe that it is important to know that baobabs can be very dangerous for a small planet. I work so hard on this picture because I want to tell children about the problem which they don’t know. I also make the picture very big. It is big because the problem with baobabs can be very big.